For Organ. Composed by Leon Boellmann (1862-1897). Edited by Hermann J. Busch. This edition: Saddle stitching. Sheet music. Schott. Op. 25. 28 pages. Schott Music #ED7647. 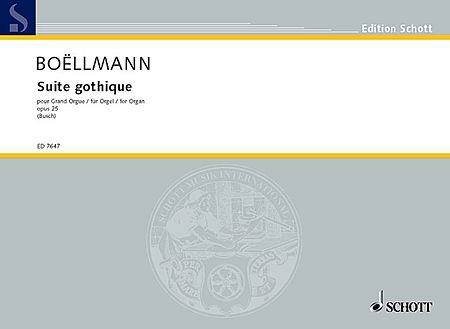 Published by Schott Music (HL.49007417).